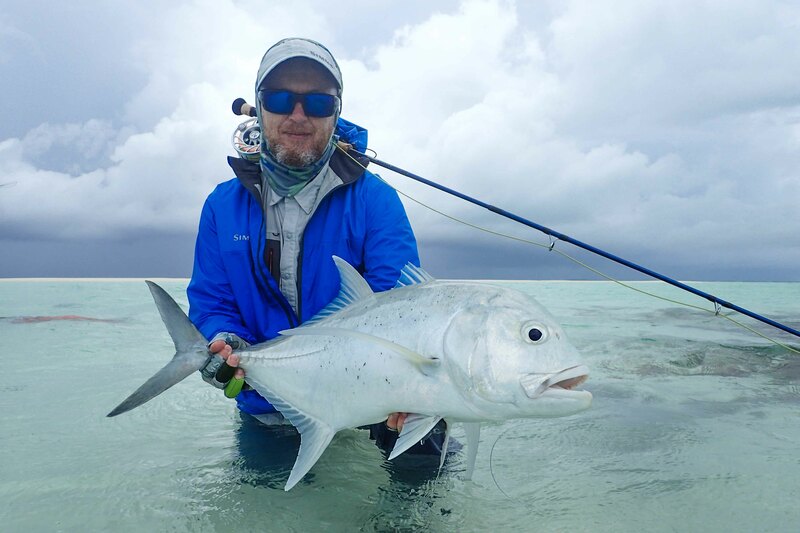 To say the elements were against us this week might be considered an understatement, with winds gusting to 30 knots and 100% cloud cover at times. 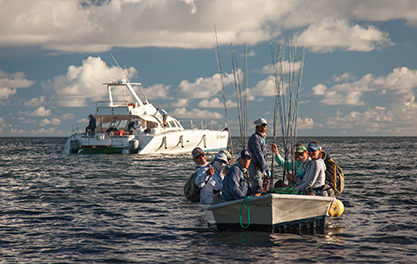 Be that as it may the team kept in high spirits and pushed through to record some great catches. 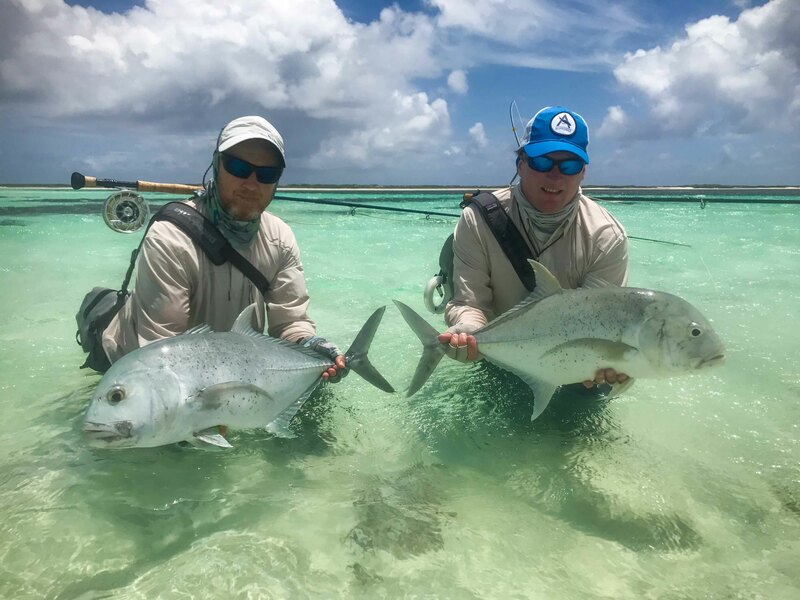 This week wasexceptionally special as this team was eager to attempt everything that Cosmo had on offer! 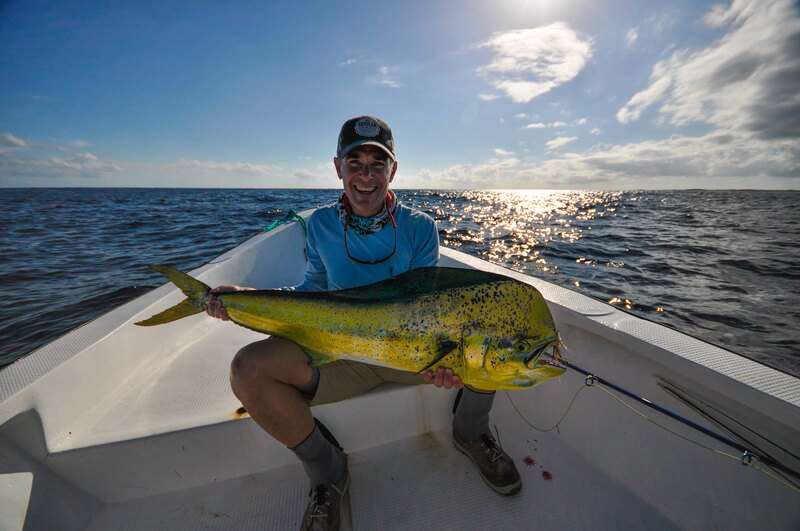 Lake Taylor was quick off the mark and used the ‘calm before the storm’ to his advantage and landed a beautiful dorado bull. 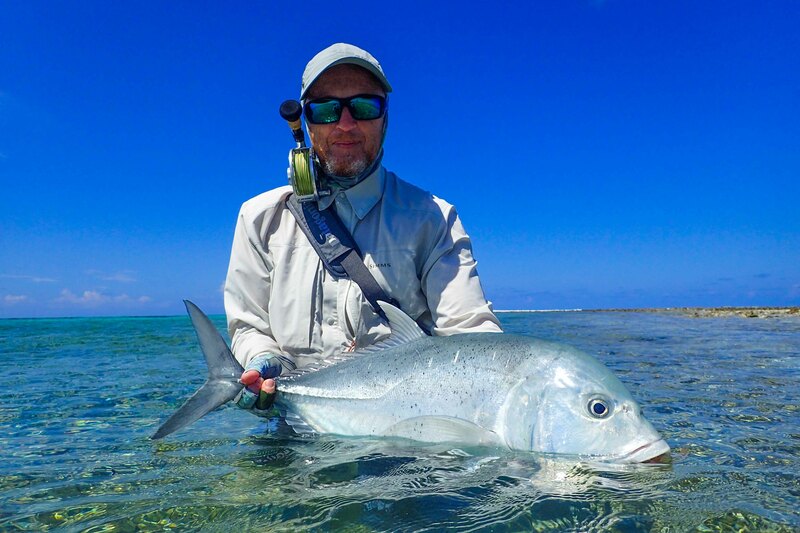 The tricky triggers were plentiful and the team managed to trick two yellowmargin and four moustache triggers into falling victim to the trusty Alphlexo crab. 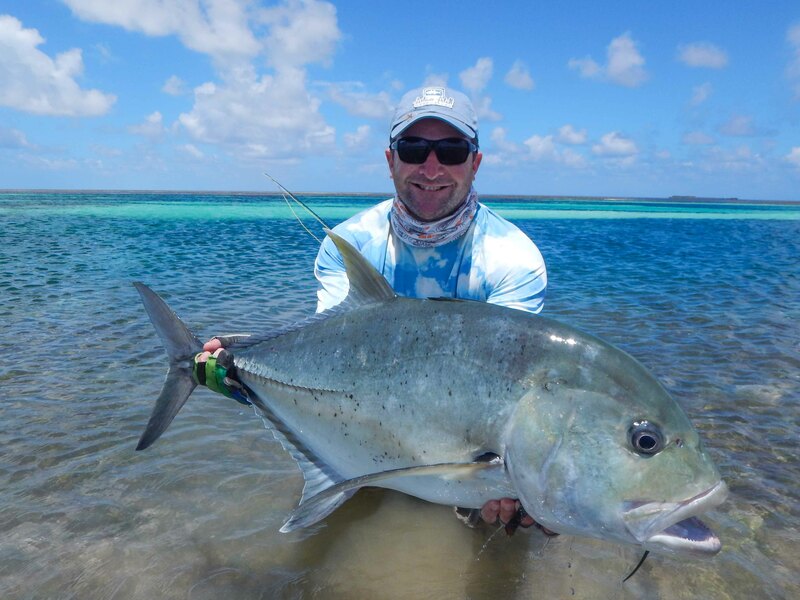 The GT’s were around in true Cosmo fashion with catch stats hitting the 85-mark between the team of 8 anglers. 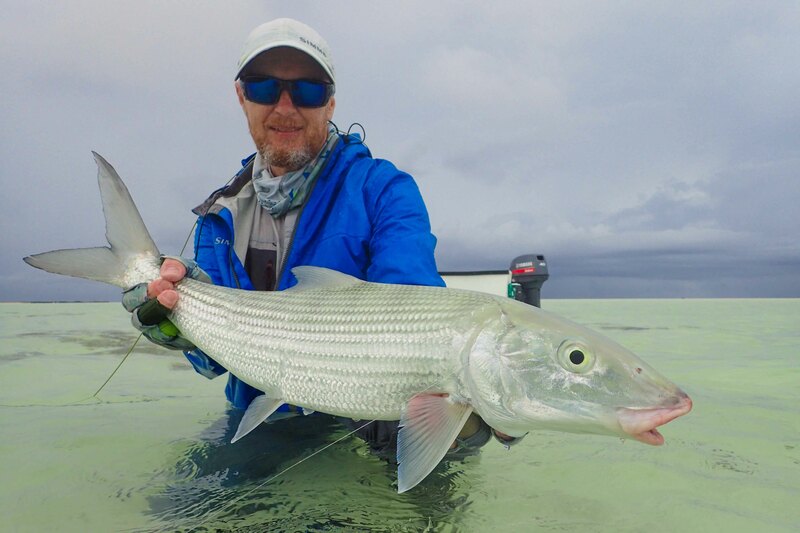 The Cosmoledo fishery is known for its larger bonefish and this week again proved this. 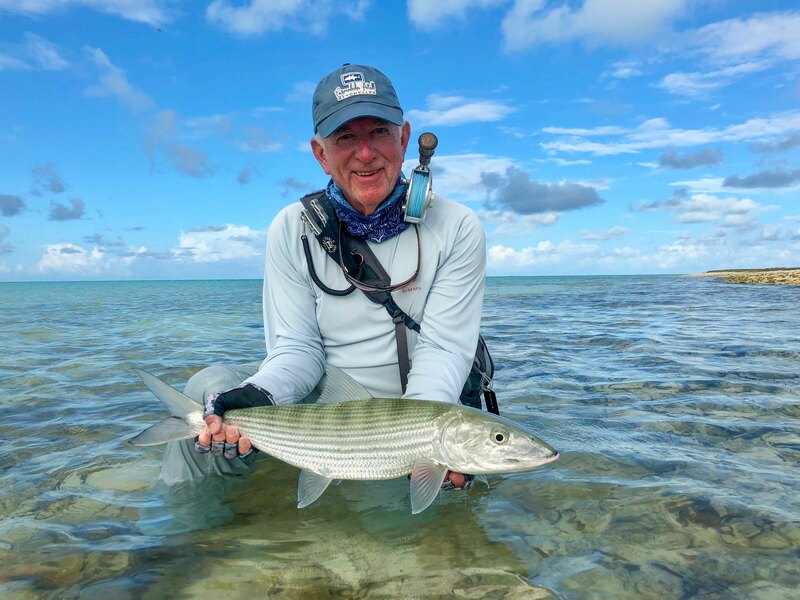 Oleg Verber’s bonefish session is one he will never forget, managing to land 15 fish in the spectacular 8 to 9lbs range. 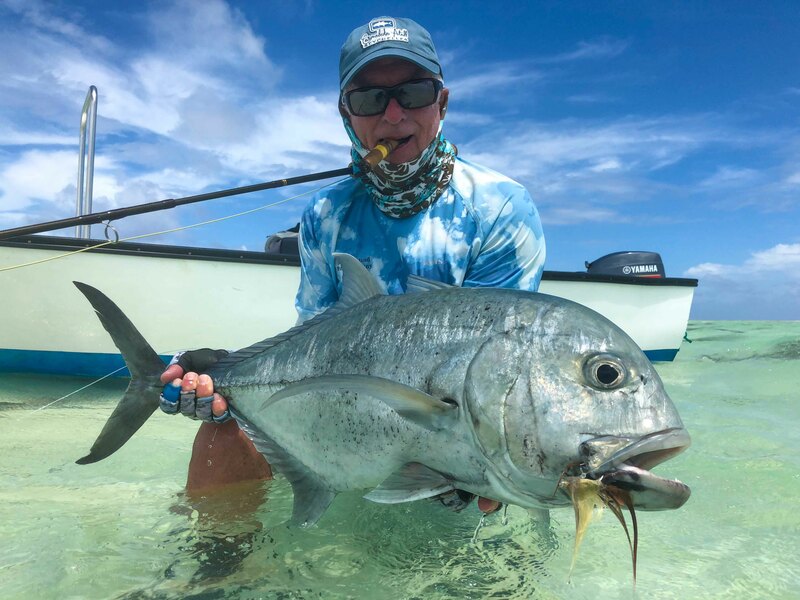 Richard Morton, accompanied by good friend David Desilets, came out on top with the GT numbers and managed to land his second-ever moustache triggerfish. 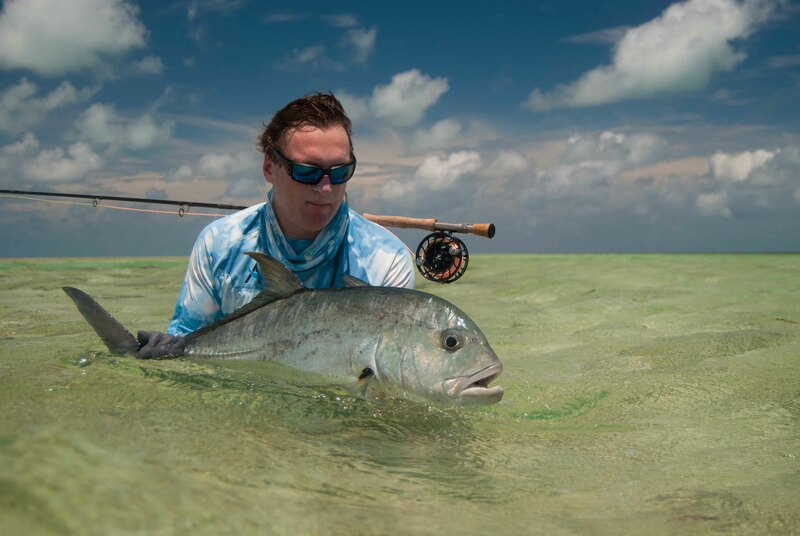 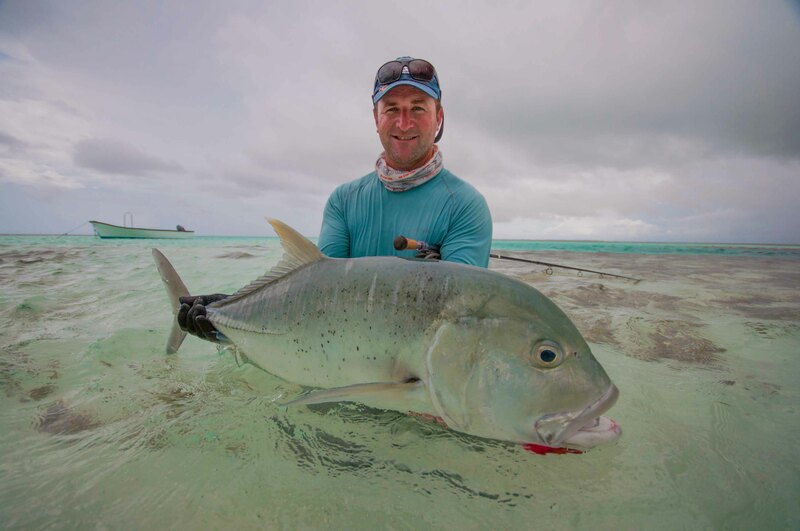 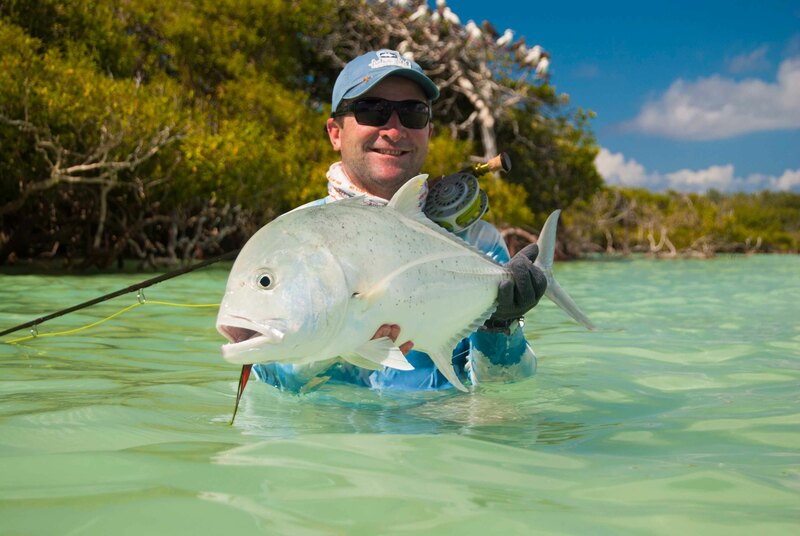 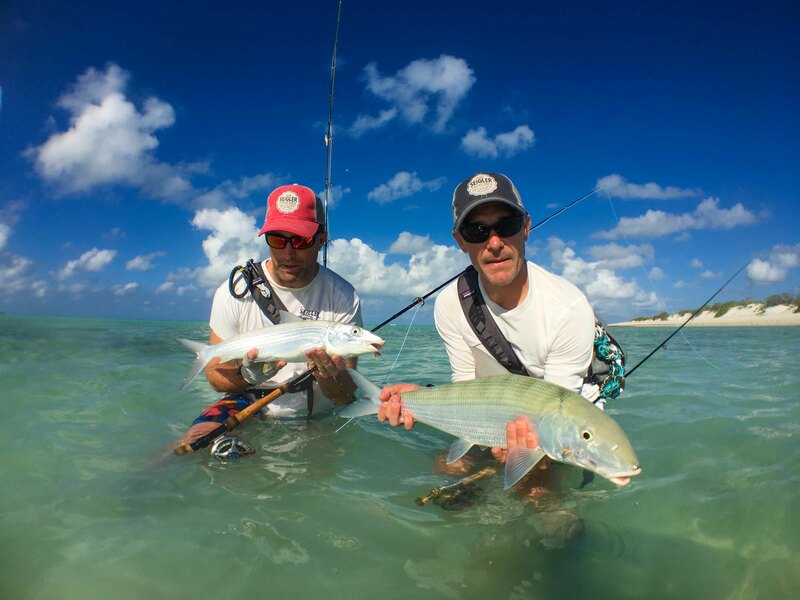 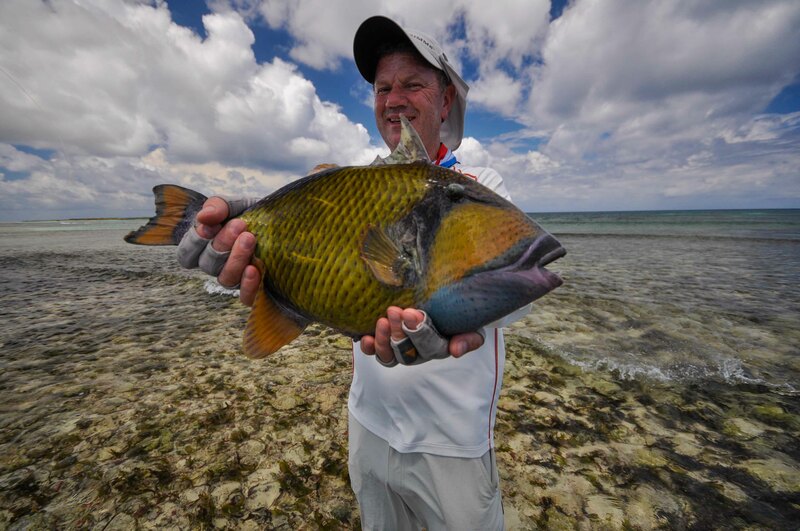 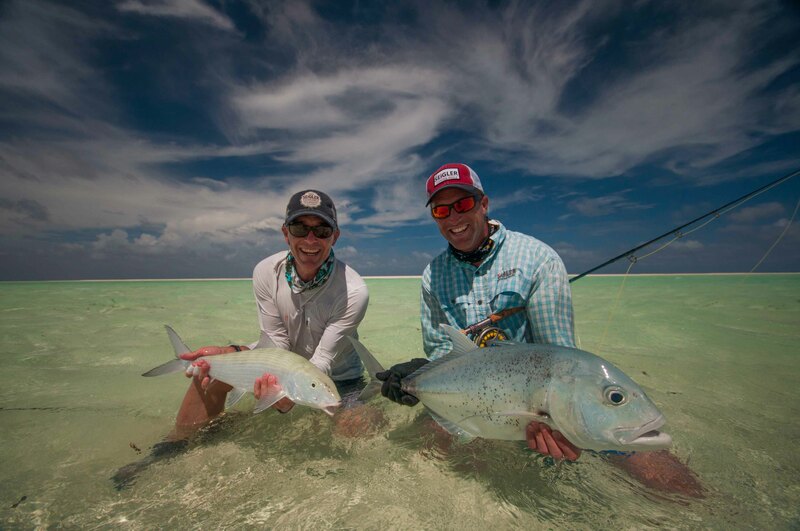 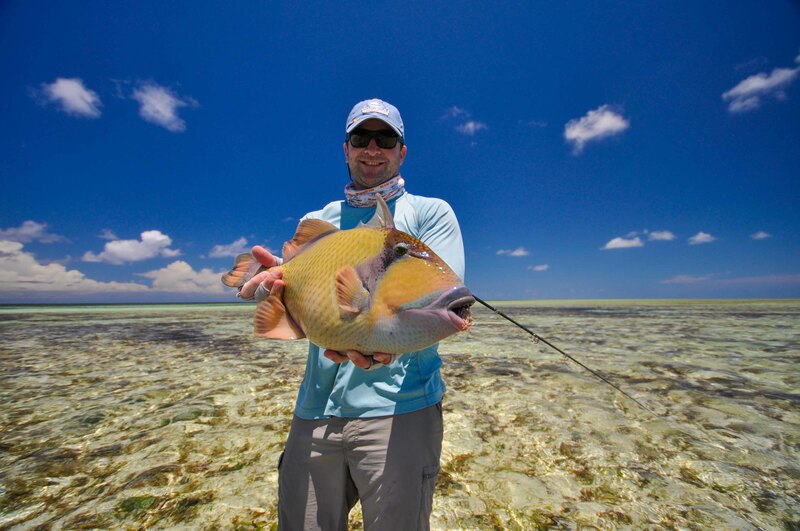 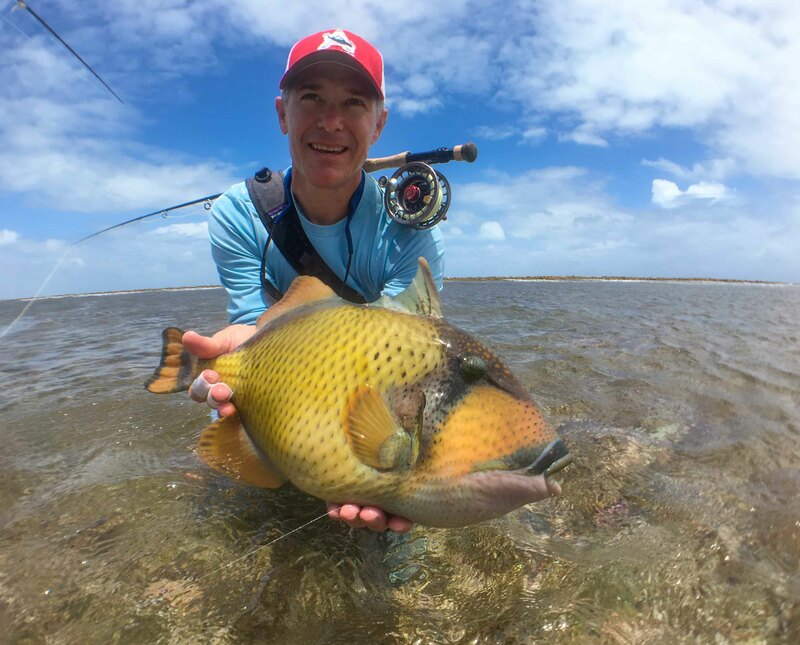 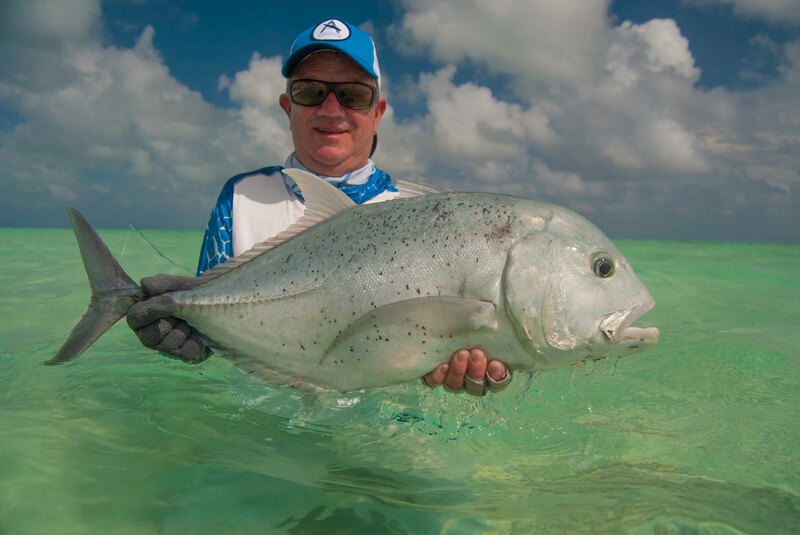 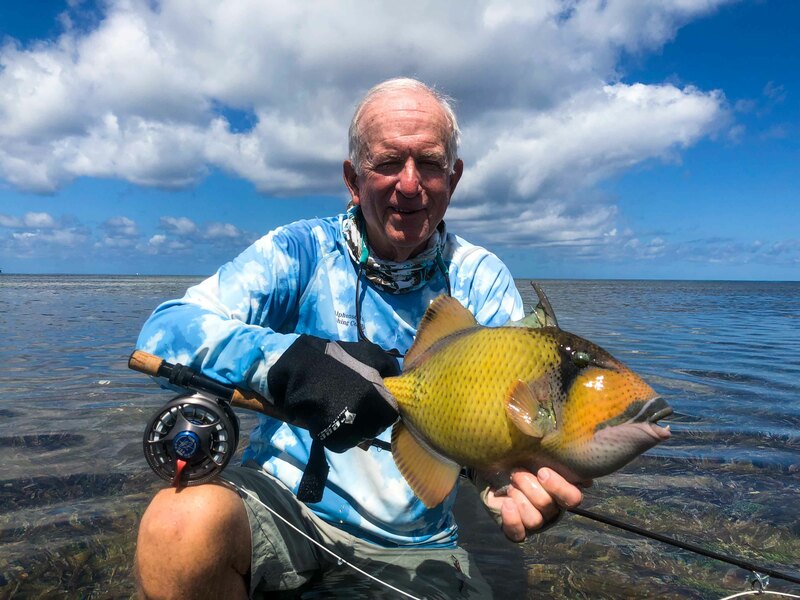 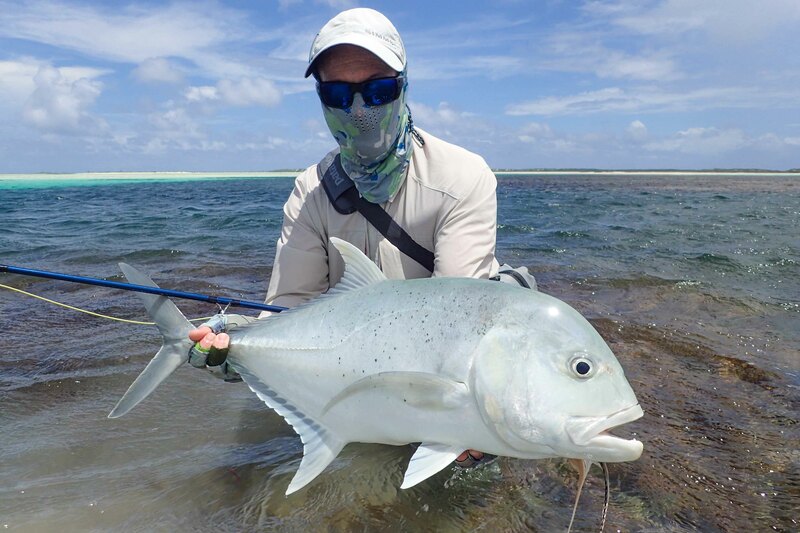 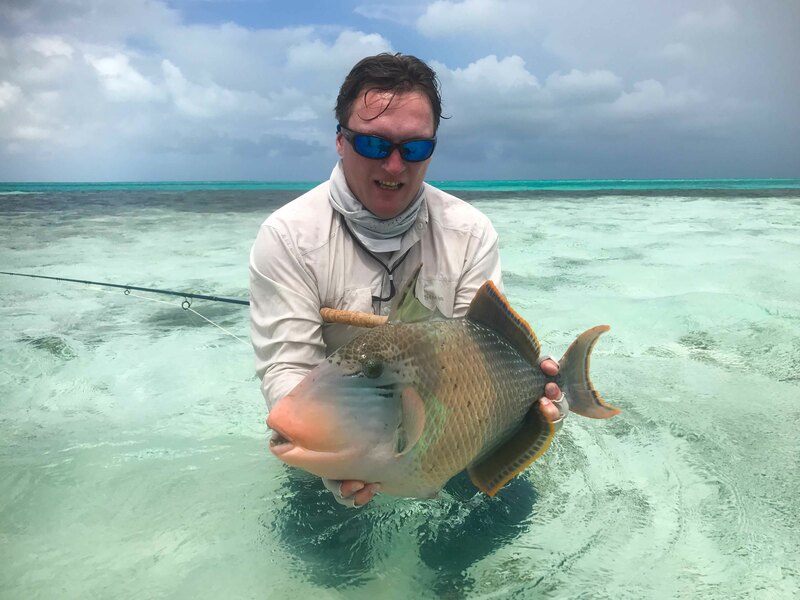 While David had never cast a fly rod before, his beginner skills excelled and he landed his first triggerfish, cracked in on the GT action and perfected his bonefishing. 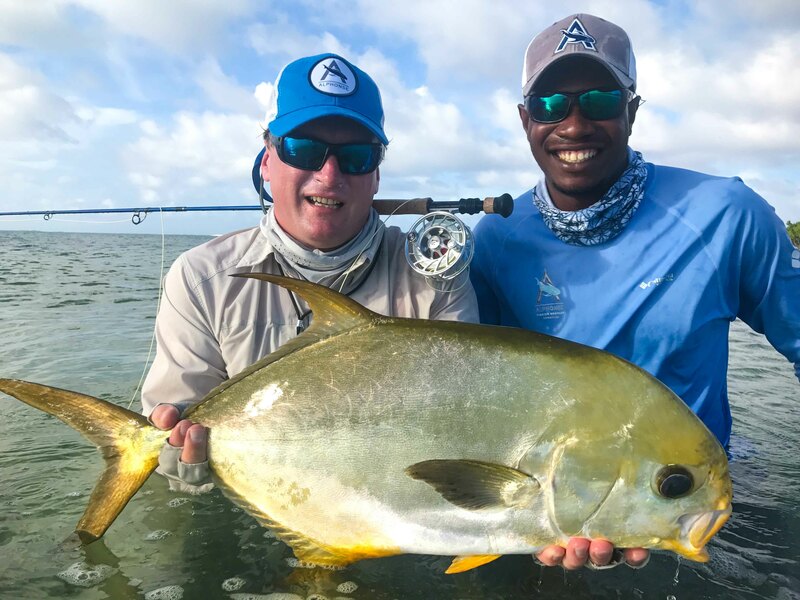 Ivan Kolesnichenko had a day that most of us dream of after a good morning session of bonefishing and defeating an angry GT, he managed to strike gold by landing a gorgeous gold permit of 68cm, racking up the only “Grand Slam” of the week.